Ideas are funny things. Sometimes they strike with no warning, no foreshadowing, completely unasked for and unplanned. Other times, you might be searching doggedly for the resolution of the next scene, the next chapter, the next story, and you peek around every corner, under every stone, every nook and cranny, hoping to find the missing piece–only to be rebuffed each time. Sometimes ideas come complete, a gift from the muse, a fully developed story just waiting to come alive, one keystroke at a time. And sometimes they tantalize, tease, coyly offering a hint or a lead, providing a glimpse but not revealing the whole. When I wrote The Eye-Dancers, I experienced all of this and more, and in fact the genesis of the story began two decades before the first word was even written. When I was in high school, I had a dream one night, a taut affair where I saw a ghost outside my bedroom window–or, at least, I thought it was a ghost. She was a little girl, no more than seven years old, and as I peered through the window, I saw her standing in the road, beneath the streetlamp that stood beside our mailbox. The light from the streetlamp filtered right through her; she seemed more spirit than flesh-and-blood girl. This “ghost girl” signaled for me to come outside and join her, and I was sure she wanted to lead me somewhere from which I would never return–perhaps the cemetery across town; perhaps a hidden hollow deep within the woods where boy-eating wolves or nameless, sharp-fanged creatures roamed; or maybe some ethereal phantom world, a far-away limbo on the other side of tomorrow. I felt myself fighting hard to resist, not wanting to leave the security of my room. But there was an inevitability to it all, and I knew it was only a matter of time before I succumbed. That’s when I woke up, sweating, my sheets a crumpled mess at my feet. It took a moment for me to gather myself, but when I did, I knew this “ghost girl” from my dream was someone I needed to write about. In the days that followed, excited, fired up, eager to launch into a new adventure, I tried putting her in various short stories, tried to begin a novel with her as the focal point. I even tried writing a poem about her, and I am no poet! Nothing worked. Frustrated, I jotted down a few notes about the dream, making sure I wouldn’t forget, and filed them in a literary to-do pile, hoping one day a story would emerge. It took twenty years. Then one night, I had the very same dream, taken back to the house where I grew up, seeing the same specter standing out there in the street. Only this time, upon waking, I had the germ of an idea. Over the next few days, the idea sprouted, watered by the suddenly giving and generous gifts of a capricious muse, fueled by enthusiasm and a drive to write the story. And when I wrote the first words, the first scene–in which Mitchell Brant has the same dream of the same “ghost girl” I did–I believed this time would be different. This time, the tale would be told, the story brought to its completion. The key word being “story”–singular. I never thought or intended that The Eye-Dancers would be continued. At the time, I had a fully developed single-story idea, not the beginning of a series. I had no reason to believe there would ever be a sequel. But again, ideas are funny things, and one late-winter day, three years ago, a dramatic visual formed in my mind’s eye. I wasn’t thinking about any of the Eye-Dancers characters, wasn’t thinking of the novel at all. I was merely out taking a walk, enjoying the crisp New England air, the sunshine, relishing the first, shy, almost indistinguishable signs of the coming spring. And then, from out of nowhere, it seemed, I saw it. As if by magic, the image took shape. There were Mitchell Brant, Joe Marma, Ryan Swinton, and Marc Kuslanski–slightly older versions than what we see in The Eye-Dancers–standing before an impossibly large structure. The building was easily the width of ten football fields, and it rose countless stories into a sky the color of ash. And above the structure, in that ash-colored sky, were Monica Tisdale’s (the “ghost girl’s”) swirling blue eyes. They dominated the scene, growing, expanding, overtaking the sky. Her eyes glared down at the boys, as if challenging them to a duel. What was most striking about this image was the absence of color. Aside from the “ghost girl’s” blue eyes, everything, including the giant building, was gray, a monochrome world of black-and-white. What could such an image mean? On that day, taking that walk (I nearly collided into a tree, distracted as I was with this scene-from-nowhere! ), I didn’t know. I just knew something was stirring, a seed had been planted, the first kernels of a new idea were cracking open and waiting to grow. And grow they did until I realized–I had a sequel to write, after all. Other scenes seared themselves into my mind: Ryan, now a card shark, shuffling a deck of playing cards as if his life depended on it–and maybe, just maybe, it did. A blue queen of spades, with eyes as blue as the “ghost girl’s,” staring out of the deck, her expression so real as if to be animate. What did a blue queen of spades signify? I didn’t know yet, but somehow I knew she was to be called The Singularity Queen and that she was the only blue card in the deck (all the other spades were the customary black). The “ghost girl” herself splitting into a million versions of herself, a foot in each world, somehow in tune with an infinite number of universes. Marc and Mitchell and Ryan and Joe vanishing from view, first a finger disappearing, then a foot, then an entire leg, and . . . ? What did all these scenes signify? The ideas came in bunches, the story evolved, fleshed out, expanded tenfold. The boys were older now, seventeen, on the verge of their senior year in high school. And the “ghost girl” was older, too–no longer a girl of seven, but twelve now, on the precipice of the teen years. What struggles would they all have now, five years removed from the conclusion of The Eye-Dancers? As I started to write, the answers came, and the journey took off. It’s been a long, oftentimes challenging journey at that. 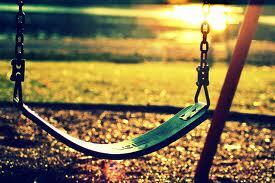 Several times throughout, I became stuck, at a crossroads or what sometimes felt like a dead end. There have been gaps in the writing, periods of intense distraction or busy-ness where the next chapter had to wait. But through it all, I’ve kept going. It’s taken longer than I’d hoped, and the end has still not been reached. Four more chapters remain. The aim is to finish the first draft by the New Year, then edit the manuscript over the winter, and have it ready for release next spring. As I near closer and closer to the finish line, I will post more about the story, the events, the challenges the characters will face. But one thing I can do right now is offer a title. Titles are just as temperamental as ideas. For me, sometimes titles come at the start, before I write the first word. Often, though, when I sit down to start a story, I leave the title page blank. “What’s this going to be called?” I wonder. And I have no clue. It remained this way for two-and-a-half years with this sequel to The Eye-Dancers. And believe me, I tried. I spent hours trying to come up with a title. Nothing came. Then, one day this past summer, it did. At first, I hesitated. Would it work? Or was it too confusing? Too obscure, too odd? I wasn’t sure, but it felt right. This coincided with another visual from the story–the blue queen of spades in the center of a circle of playing cards. In the “ghost girl’s” alternate world, the card game in question is called The Singularity Wheel. As it turns out, the sequel to The Eye-Dancers is called that, too. It’s true. For years, it’s been my dream to be a full-time creative writer, earning a living solely through the art of storytelling. I guess every writer wishes for this. But for most of us, we have day jobs that help us to pay our bills, forcing us to pursue our true literary passions in the early-morning hours, late at night, or on weekends–or simply whenever a moment arises where we can spare an hour or two and just write. My day job is as a technical writer for a computer software company. The material I produce in this capacity is, admittedly, drier than day-old toast, but it’s a comfortable environment, and the act of writing technical documents doesn’t drain any of my creativity, leaving me fresh and ready to explore the imaginary byways of my mind after hours. I got started in the technical writing field just as the specter of Y2K hung over the IT world like a giant, ominous shadow. I was fresh out of college, unsure and uncertain what to expect, when I was hired by a large company in my hometown of Rochester, NY, into a department called Documentation & Publications, or Doc & Pubs for short–which consisted of approximately fifteen technical writers and eight publishers. I was one of the publishers. I hoped to graduate into the role of technical writer eventually, and I did, but for a different company and in a different state. Being a part of the publisher group was good, solid experience. The publishers, as the department manager told us more than once, represented “the last line of defense.” Our chief responsibilities were to fact-check and proofread the material sent to us by the technical writers, ensuring grammatical correctness and subject accuracy. I asked him once about that. “You’re not really ‘outstanding’ all the time, are you?” I wanted to know. The documents came in fast and furious, every day. A few were new, created from scratch as it were, detailing some new system or product. But most of the documents we had to proofread were preexisting ones–voluminous, intimidating manuals in which the writers would add a section here or there, or, in many cases, simply add a sentence or a paragraph to the text. Many of the changes to systems they documented were, in fact, minor tweaks, building upon the vast amount of material that had already been in place. Little did I recognize at the time the parallels that existed between tweaking company manuals and the art of writing a sequel . . . 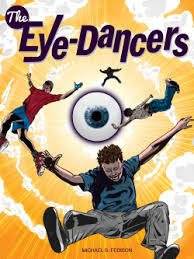 When I published The Eye-Dancers, I did not intend to follow it up with a sequel. It had been a rewarding project, and writing about four protagonists all inspired by friends I knew growing up was fun. But I had no ongoing story line in mind. I figured I would move on to something else, perhaps something vastly different. That’s when an image struck me. It came, as these things so often do, out of the ether, unasked for, unplanned. I saw Mitchell Brant, Joe Marma, Ryan Swinton, and Marc Kuslanski standing at the base of a gigantic stone building, looking up at a sky the color of ash. And then the sky changed. The clouds dispersed, as if by magic, replaced by a pair of unblinking blue eyes that glared down at the boys with unmistakable ill-will. I resisted at first. Did I really want to undertake a sequel? But the image remained, beckoning, a window to a new story demanding to be told. Before long, a fully fleshed adventure came into view, and the conviction to write it grew stronger by the day. And so I began–attempting to write my first-ever sequel. I immediately encountered issues I’d never considered or dealt with before. How much information from the first book needed to be touched upon or referenced in the second? Granted, a sequel should be able to stand alone, on its own merit. But at the same time, to ignore pertinent bits of information from the first book seemed like a blatant omission. The question was–how much was too much? Or too little? I remembered the discussion I’d had with that technical writer a decade and a half earlier–about building on a preexisting foundation without being redundant. Somewhere in all this, there had to be a happy medium. Months elapsed, and the story progressed. Then life would get in the way, inspiration would dwindle, and the pace would slow. Every now and then, Mitchell or Joe, Ryan or Marc, or even Monica Tisdale, the “ghost girl,” would trip me up, forcing me to look at something in a way I hadn’t planned. And sometimes the plot would take a sudden turn, away from the paved road I had mapped out, forging instead over unpredictable marshy swampland, through thick, canopied forests, or barbed-wired ravines. Through it all, though, I have felt a burning drive to carry the story to its conclusion, to travel with the characters as they battle and discover and scratch and stumble their way on the path of self-growth and accomplishment. It’s been a long, sometimes turbulent, but always interesting ride. The current status of the project remains–in progress, but with an eye toward the finish line. Twenty-one chapters have been written, complete with numerous, laborious revisions. Nine chapters are left to write. The goal is to have the sequel ready right around the time the ball is dropped in Times Square on that cold, dark winter night. The characters, as they always do, are leading the way, and they are urging me on, eager to finish the race. But it won’t be easy. They are being tested more than ever this time around. As I’ve examined and picked through what I have so far, I’ve been critical, doubtful, unsure. Is the story any good? 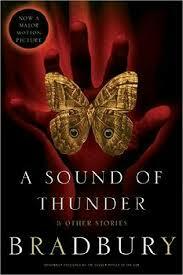 Will readers of The Eye-Dancers enjoy this continuation? Or will it flop, crashing and burning like a doomed meteor breaking through the earth’s atmosphere, reduced to smoking fragments of dust and debris? I wish I knew. Time will tell. But as I round the bend and endeavor to complete the journey, overcoming the delays and potholes and moments when the sheer scope of the project and story line makes me want to pull out my hair at its roots, I will try, as best I can, to harness my inner John. I can still remember the first time. I was seven years old. I don’t remember the shop, or even what kind of shop it was–a bookstore, perhaps? A drugstore? An eclectic little gem with knickknacks and mementos gracing dusty, wooden shelves? I don’t know. That detail has escaped, leaking through the holes of conscious memory, a magic trick of the mind. But the rack, the spinning rack–I remember that. 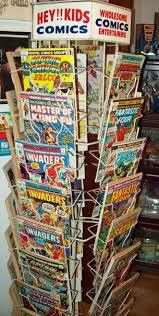 The rack was taller than I was, filled with issue after issue of comic books. The covers promised grand adventures, larger-than-life stories, journeys through space and time. I spun the rack, mesmerized by the squeaking sound it emitted, the covers whirring past in a blur. When the rack finally stopped spinning, I looked at the comic book directly in front of me. The Fantastic Four, number 209. I’d heard of Marvel’s first superhero team, of course, but I was also aware that my older brother, who collected comics, thought they were overrated. He was Spider-Man fan. But the scene depicted on the cover carried my seven-year-old mind far away, up high, soaring with the stars and comets and planets from galaxies so remote I couldn’t even fathom the distance. I knew I had to have that issue. The rest, as they say, is history. 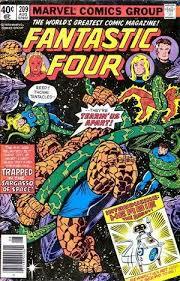 That single issue of The Fantastic Four began a lifelong love of science fiction, comic books, and, really, stories of all sizes, shapes, and genres. I wrote my first short story that fall. I began to read more and more for the sheer fun of it, not simply because it was assigned for school. A handful of years later, I was introduced to the world of Ray Bradbury, as I lost myself in stories of carnival rides and astronauts, time travelers and Martians. High school dawned, and I read Shakespeare, Bronte, Dickens, and Steinbeck. When college arrived, it didn’t take long for me to declare a major–English. My life has always revolved around books. The feel of them, the texture of the pages as you turn them. 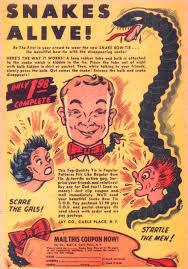 The musty, magical smell of a comic book from 1952, an artifact, a relic from a bygone era. Boys with cameras or baseball gloves smile at me from advertisements sixty years old, spanning the chasm of decades, infusing me with a sense of nostalgia for a time period I never even experienced or saw. The physical presence of books–the weight and heft of the volume–these elements add to the experience. 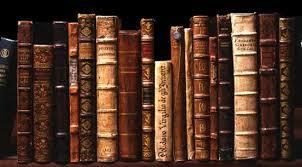 Reading a book, an actual, physical book, is different from reading its equivalent online or on a Kindle or smartphone. Not necessarily better, just different. 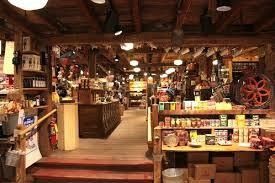 More complete, perhaps, engaging more of the senses, providing for a more intimate and personal experience. 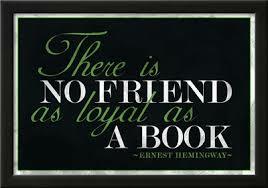 “There is no friend as loyal as a book,” Hemingway once said, a sentiment I have often shared over the years. And so it is with great excitement that I can announce–The Eye-Dancers, published as an ebook late in 2012–is now also available as a paperback. It seems fitting that the publication of The Eye-Dancers in hard-copy form should happen now. This weekend, I head back home to Rochester, NY, visiting the old house where I grew up; the house where I learned to love books, not just for the stories, but for the characteristics themselves–the binding of the spine, the wrinkles and imperfections, the crisp, fresh smell of new editions, or the heady aroma of decades-old volumes, the yellowing pages succumbing to the oxidation and literary alchemy of time. I’ll bring a physical copy of The Eye-Dancers with me to Rochester, I’m sure. And perhaps, at some point, some quiet, still moment, I’ll wander into my old bedroom, open the book, and remember . . . The Eye-Dancers, the paperback, is available for purchase . . . Thank you to everyone for all the wonderful and ongoing support! The Eye-Dancers Now Available on the Nook! The weather has begun to turn in Vermont–a sugaring of snow was on the lawn this morning, and there is a tang in the air that exhilarates the senses. Days are becoming shorter and shorter; winter is just around the bend. And The Eye-Dancers is now also available on the Nook! 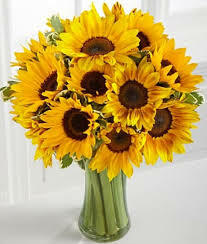 Please find it here. Thanks for reading. More posts to come soon . . . The Eye-Dancers Now Available at Amazon! The self-caused delay in posting The Eye-Dancers on Amazon is over, and the book is now on sale in the Kindle Store! If you’d like to check it out, please click here. Thanks again to everyone who has been following and checking this blog. I hope you will give The Eye-Dancers a home on your Kindle or PC or Smartphone, or . . . well, you get the idea . . .
Have a wonderful holiday week, and happy reading. Amazon Release Delayed Until Beginning of Next Week . . .
Well, anytime you try something new (such as publishing your e-book through Kindle Direct Publishing! ), you learn things and make mistakes. Unfortunately, there have been a few glitches in the process of releasing The Eye-Dancers on Amazon. For anyone who’s tried KDP, you know there is a Review process when you hit the “Publish” button. And, when you later realize you made an error in some of the information you wanted to include (like, oh I don’t know, failing to include that you are the author of your own book! ), you have to wait for the review to be done, then go back in, make the necessary changes, and then submit for another review period. I am in the midst of this rather time-consuming process. As I say, I am learning as I go. But everything should be cleared up by Monday or Tuesday of next week, and The Eye-Dancers will be available on Amazon then. I will definitely post when all the hurdles have been cleared and the book is available at Amazon! Thanks for your patience, and thanks as always for reading . . . The Eye-Dancers Now Available at Smashwords! I still remember the day I began writing The Eye-Dancers. It was nearly four years ago, on one of those chilly, overcast, nondescript November days in Vermont. At the time, the finish line seemed a long way off, over steep, rugged mountains, and densely wooded hillsides full of pitfalls and snares. I trudged and tired over many of those mountains, stumbled and fell in some of the pitfalls, and became entangled in plenty of snares. Which is why it’s so rewarding now to be able to say–The Eye-Dancers is now on sale! I just uploaded the book onto Smashwords.com. Please click here to find it! And tomorrow it will be available at Amazon. I will keep you all posted. Thanks so much again for everyone who has been following this blog, and has shown an interest in The Eye-Dancers. Writing a novel is really a deeply personal undertaking, and being able to share that undertaking is a great feeling. For those of you who purchase The Eye-Dancers, I sincerely hope you enjoy it, and I welcome all comments and feedback, positive and negative. Thank you again. More to come soon . . .